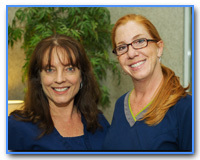 At Ponte Vedra Cosmetic Dentistry our skilled, congenial staff is one of our greatest assets. 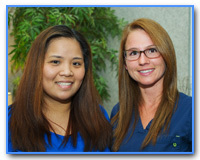 Our dental assistants and hygienists are licensed professionals who pride themselves on keeping abreast of the latest news in dentistry. We are excited about what we are doing, our high standards of quality and integrity, and our motivation to achieve the best results for our family of patients. 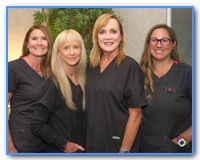 Ponte Vedra Cosmetic Dentistry's team consists of dedicated, motivated individuals with one primary goal—your utmost comfort! It’s important that you understand the treatment that you’ll be receiving so that you can relax during the procedure. 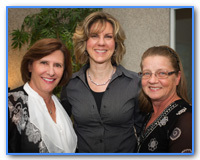 Our dentists encourage the staff to answer questions regarding your dental care. Please feel free to share with us your needs and concerns. Call 904.285.8407 for an appointment and experience the difference today!